Home > Blog > Employment Background Checks > Drug Testing > How Are Employers Addressing Medical Marijuana Laws? How Are Employers Addressing Medical Marijuana Laws? With the recent passage of multiple state laws legalizing the medicinal and recreational use of marijuana, many employers are trying to figure out how to address it in their Drug Free Workplace Policies, if at all. While marijuana is still classified as a Schedule I controlled substance under the Federal Controlled Substances Act, it has been legalized for medical or recreational use in 20 states, including most recently Colorado and Washington, and the District of Columbia. 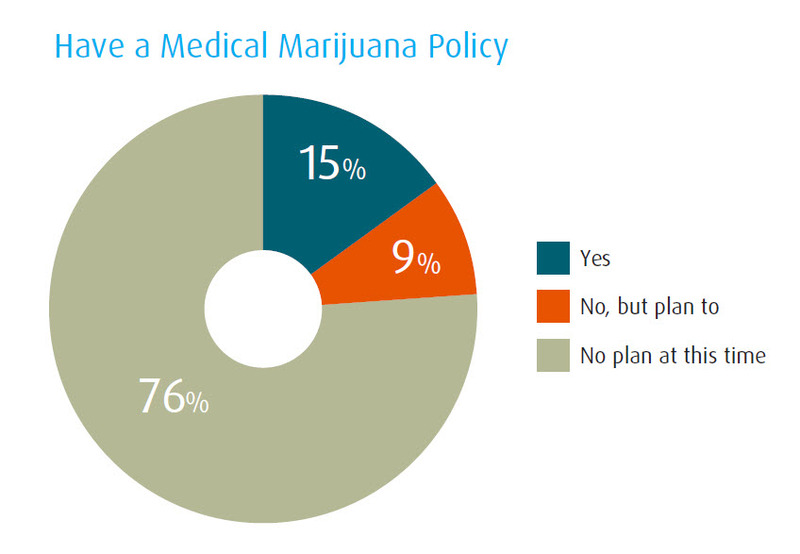 According to the recently released 2014 HireRight Employment Screening Benchmarking Report, nearly one in four respondents indicated that they currently have a medical marijuana policy or plan to implement one. While the remainder indicated that their organization did not have plans to implement a medical marijuana use policy. Note that the Department of Transportation was not included in the medical marijuana policy response as marijuana use is federally prohibited. It is currently undetermined if the transportation industry will create policies regarding medical marijuana use for non-DOT employees. While the federal law is clear, federal employers should consider reiterating their zero-tolerance drug policy to both potential candidates and current employees. In addition, recent court decisions have ruled that while the use of marijuana for medicine or recreation is permitted, employers still have the right to refuse employment to those that test positive for the drug. It is no secret that companies benefit from a drug-free workplace, as it helps to ensure a safe and productive work environment and comply with federal, state and industry regulations. However, creating and maintaining a company drug policy can be difficult in the ever-changing legal framework surrounding medical marijuana use.